In the Repetition, Repetition, Repetition – an article analysis post I made a stupid mistake. I mixed up academic papers. The one I said the AVCA article referenced was, in fact, an article I learned about from another source. It was Challenge Point: A Framework for Conceptualizing the Effects of Various Practice Conditions in Motor Learning by Mark A. Guadagnoli and Timothy D. Lee rather than Principles derived from the study of simple skills do not generalize to complex skill learning by Gabrielle Wulf & Charles H. Shea. That being the case, I need to make some corrections. Wulf & Shea published their paper in 2002. It looks at training styles (blocked vs. random) as well as feedback regimens and physical guidance, among other things. It is what is known as a literature review article. That means it looks at the published research on a certain topic (or topics) and looks to draw conclusions. As such, on the basis of this article, the AVCA article cannot validly assert “To develop volleyball skills in novice to intermediate-level players we know that block training of skills and situations is recommended, as random training in practice session can easily overwhelm this level of player.” At least they can’t without citing other comprehensive research. As the AVCA article rightly points out, though, the paper does make the point that level of learner, skill complexity, and available training time are important factors. Here’s one sticking point, however. When you read the paper, one of the things that becomes obvious right away is the problem of definition. How do you determine skill complexity? There doesn’t seem to be a clear answer. On the question of the use of training aids, here too the paper calls the research mixed. In some cases it shows them to be detrimental while in other cases they appear to be beneficial. The way I read the paper, though, these aids were more devices involved in the actual execution of a skill. For example, poles for a skier. Things like hitting boxes for coaches, as mentioned in the article, were not discussed. The Guadagnoli & Lee paper is also a review of sorts, though it does so in the context of presenting a conceptual framework. It came out in 2004. While the authors do speak to skill difficulty, they don’t take on differences in complexity the way Wulf & Shea do. Their focus skews a bit more toward differences in learner experience. The overall view is that random training is generally superior, but there does appear to be a benefit to limited blocked training for novices. As it happens, while I was in the midst of developing these post a very much related episode came out from Coach Your Brains Out. It’s Part I of an interview with Steve Bain. Bain is a college coach and a research professor in orthopedics and sports medicine. The interview is a really useful discussion of the topics of blocked vs. random, specificity, and all of that. I definitely encourage you to give it a listen. Interestingly, Bain says in the conversation that paper author Wulf mentioned above did research that youngsters actually see even more benefit from random training than do older individuals. This is counter to what a lot of folks seem to think. It has something to do with broader developmental issues at that age, though. I don’t have a paper reference for that yet, but I’m looking. Meanwhile, Bain recommended Strength Training and Coordination for a discussion of specificity. There is also Motor Learning and Performance: From Principles to Application by Schmidt & Lee. I believe Carl McGown recommended that one, and Bain also mentions Schmidt in the podcast. Schmidt & Lee also have Motor Control and Learning: A Behavioral Emphasis for which Wulf is a co-author. 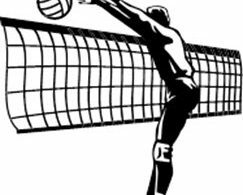 Wulf & Shea reference a couple of papers that feature volleyball-specific research. I am trying to get hold of them. When I do, I will post a follow-up. 2 replies to "Revisiting Repetition, Repetition, Repetition"
Thanks Nick. I had a listen. Basically my takeaway as well. I’m really interested in how the research has developed since the paper came out in 2002.